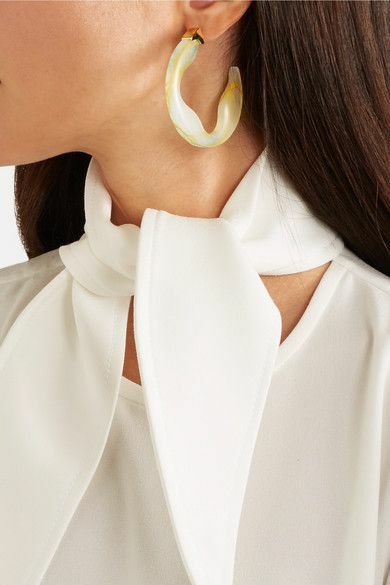 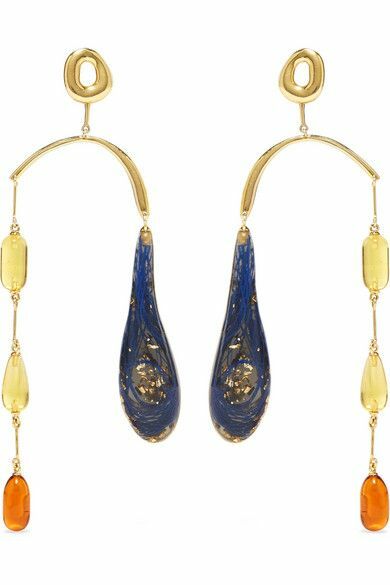 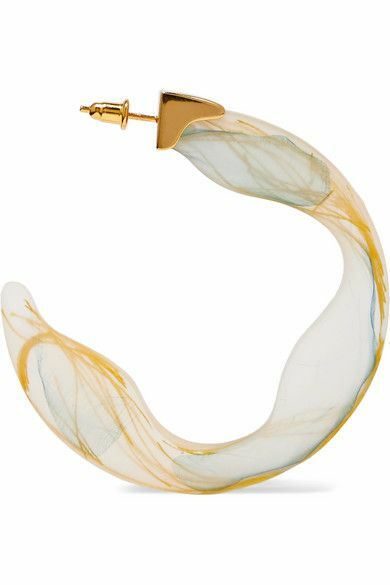 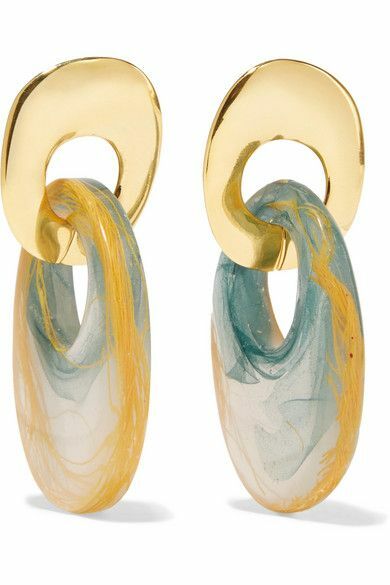 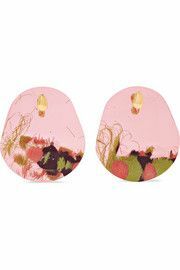 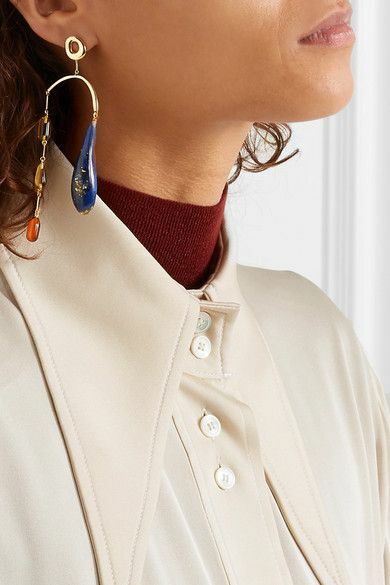 There’s a new style of earring on the block: A marbled resin reminiscent of murano glass with hints of a bygone era. 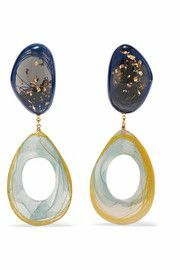 Some of the best examples can be seen in the work of Ejing Zhang, a Chinese jewellery now living in London who looks to her love of traditional calligraphy and ink painting for her inspiration. 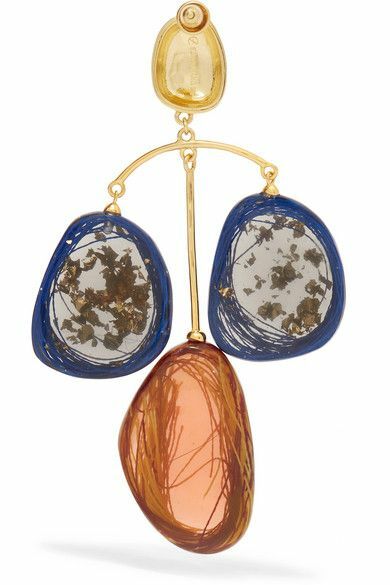 Combine the ever changing powers of resin with gold and a touch of whimsy and you have a magical combination.